In a move to expand its portfolio of respiratory care products, Medtronic announced the acquisition of Edinburgh, Scotland-based Aircraft Medical in a $110 million cash-only deal. Aircraft Medical specializes in the manufacture of video laryngoscopes, a device that simplifies challenging intubations. Studies show that respiratory compromise is the second most common preventable safety concern occurring in U.S. hospitals and is associated with higher mortality rates and longer hospital and intensive care unit stays. The Respiratory Compromise Institute estimates that these adverse events are responsible for $7.7 billion dollars in healthcare costs per year. By allowing clinicians to visualize a patient’s throat during intubation, video laryngoscopes increase the likelihood of first-attempt success and minimize potential damage to the patient’s throat and windpipe. Aircraft Medical’s expanded line of product choices have sought to address a number of different challenging clinical scenarios to increase success in both routine and problematic intubations. Matt McGrath, current CEO and the engineer behind the company’s original laryngoscope design, founded Aircraft Medical in 2001, and the company began to turn profit in 2009. The Scotsman reported that this success was short-lived, as the company was soon mired in patent defense against U.S.-based competitor Verathon. After a U.S. court struck down 99 percent of Verathon’s patent claims in 2013, Aircraft Medical signed an international distribution deal with Covidien, which brought their portfolio to the U.S., U.K., Japan, Latin America, and Australia. Covidien was acquired by Medtronic in a $43 billion deal earlier this year, which resulted in Medtronic’s headquarters moving to Dublin, Ireland. According to The Scotsman, the Covidien deal paved the way for Medtronic’s acquisition of Aircraft Medical. “Aircraft Medical’s offerings complement our portfolio, helping us further our commitment to reducing incidents and potential complications from respiratory compromise globally,” said Steve Blazejewski, senior VP and president of the Patient Monitoring and Recovery business at Medtronic, in a statement. 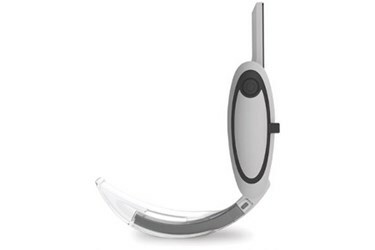 Blazejewski added that the addition of video laryngoscopes would play an important role in Medtronic’s development of airways innovations. “We are pleased to be joining the Medtronic team as we strive to provide the McGrath video laryngoscope platform to many more patients around the world,” said McGrath. The BBC reported that Medtronic currently does business in over 160 countries worldwide. In addition to Covidien, Medtronic has finalized numerous acquisitions this year, including CardioInsight, a Cleveland-based device company specializing in atrial fibrillation solutions, and Lazarus Effect, developer of a mesh cover for stent retrievers of blood clots. Medtronic CEO Omar Ishrak recently told The Wall Street Journal that he was eyeing potential acquisitions in the Chinese device industry.